I wish the Stars community and Ice Bats community blended together better. I know Ice Bat fans who have no interest in the Stars and Stars fans who belittle the Ice Bats. Texas has never really done anything to bring in the Ice Bat fans, many fans of Texas know near nothing of the areas hockey history that is in a way rather remarkable. A book "Zamboni Rodeo" is the considered by many minor league fans to be the bible of minor league hockey and it was written about the Ice Bats. 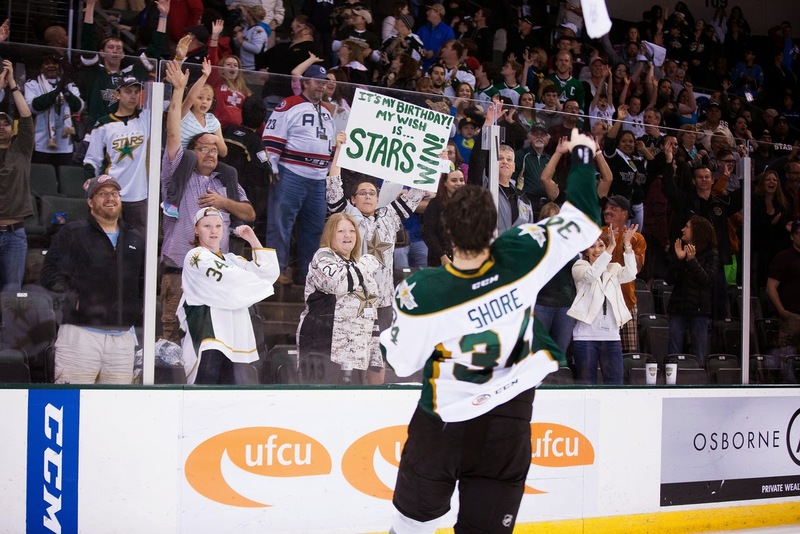 The WPHL and later CHL have done more for hockey in the state of Texas then the NHL and Dallas Stars have, NAHL and other junior teams have sprung up state wide in the wake of the minor league boom of the late 90's. The highest attended hockey games in the area belong to the Ice Bats, not the Stars. I would be more than happy to write a series of columns from the early days of Austin and Minor hockey in the state of Texas if your looking to add something. No offense intended, but no interest in the Ice Bats. At least not on an AHL news site. It's not about the Ice Bats it's about the areas hockey history. I didn't realize 100 Degree Hockey was limited to only the Texas Stars. start your own blog. but i don't think there is enough interest to sustain that, so why bog down this site? I don't think Carl's suggesting we change the focus of the site. He's just offering that a post or two about the IceBats might be interesting to people who have been long-time Austin hockey fans. Perhaps more-so information on Texas (State of) Hockey in general. But the response is what I really don't understand. Not sure why people feel the need to take a "one or the other" stand. Almost goes into the point of my initial post. It's not one or the other. It's "i'm interested in" vs "i'm not interested in". I like the Texas Stars. I go to the games, I root for my team. I come hear to find out more about my team. I don't follow the Ice Bats nor have I ever. I don't really care about the Ice Bats, and if I did I would probably go to an Ice Bats website. The connection to Austin is tangential at best. Sorry, that's just my opinion. And Anonymous you just spent more time arguing against the idea then it would of taking you to read an article or scroll by it. It would be interesting to learn about some of our fans/season ticket holders hockey backgrounds. Last year I met a gentleman named Ken Brown. Ken played goal for the Edmonton Oilers when they were in the WHA and later played for the Dallas Blackhawks. His goaltending partner in Edmonton was Jacques Plante! This year I met someone who was on the Memorial Cup champion Edmonton Oil Kings in 1963. It seems we have a few fans that have pretty cool hockey backgrounds and it would be fun to hear their stories. I think you should start with Carl Phinney, as he can shed some light on the history of hockey in the Austin area. Keep up the good work! Well thanks but I'm actually a pretty boring guy who has just been around. I like your idea though. In a related issue today while driving I got a call from a Equipment Manger for the NY Islanders, he is a guy who got his start in Belton Texas. He was on his way to the airport for the Islanders game tonight in the Stanley Cup Playoffs. I think those are awesome stories. And BTW Stephen he said he would do an interview of some sort (I asked about next year) to tell about his Texas hockey start.